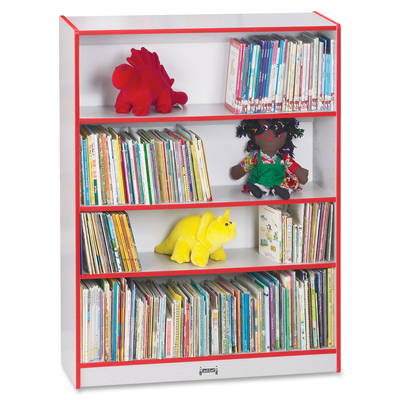 Bookcase Features Adjustable Shelves That Can Be Repositioned In 1-1/4" Increments To Keep Books At The Perfect Height. Durable Laminate Features An Easy-To-Clean Surface. Kydzsafe Rounded Edges Allow Children To Play Safely Without Getting Hurt By Sharp Edges Or Corners. Truedge Is Permanently Thermo-Fused To The Edges To Prevent Chipping..